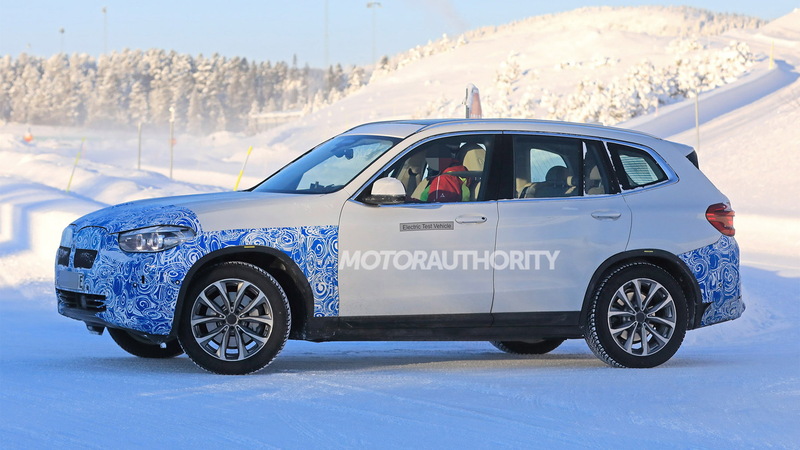 Prototypes for an electric version of the BMW X3 have been spotted and follow an earlier sighting of a test mule. The vehicle, which will go by the name iX3, is confirmed for launch in late 2020, meaning we'll likely see it arrive as a 2021 model. After stumbling with the oddball i3, BMW decided to change its approach to electric cars by developing battery-powered versions of its core models as opposed to launching standalone EVs. The move makes more sense now that electric cars are becoming more widely accepted, and it will also save the automaker a boatload as the costs of developing EVs can be shared with their internal-combustion siblings. 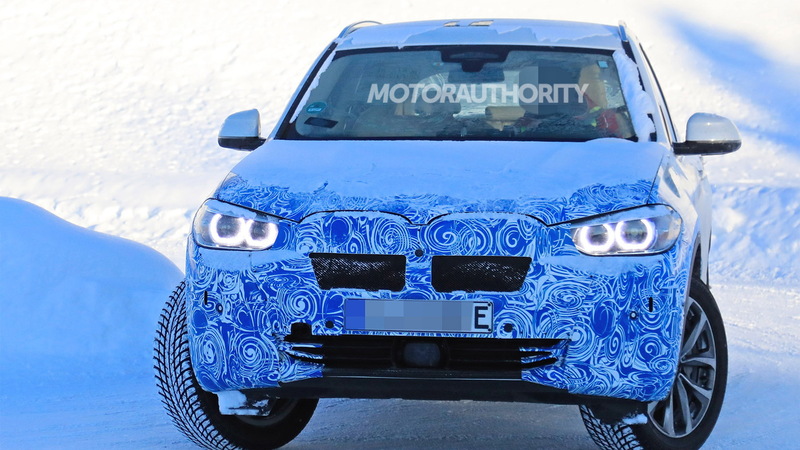 The iX3 will be one of 12 electric cars the BMW Group will launch by the end of 2025. The first will be an electric Mini Hardtop due in 2019. The iX3 will follow in 2020 and the much-hyped iNext and a new i4 will arrive in 2021. BMW Group hasn't revealed the identities of the other electric cars but a sports car is believed to be part of the lineup. 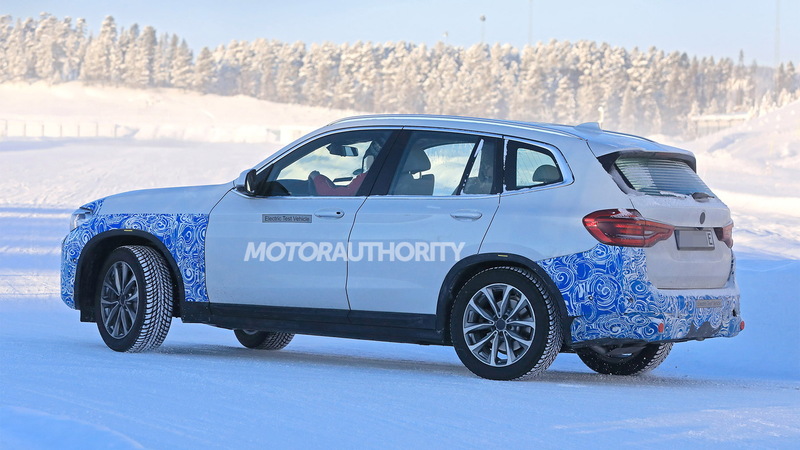 The iX3 prototype, which is devoid of any exhaust tips and has a sealed-off grille, has the label “Electric Test Vehicle” on its flanks. There's also a charging port on the driver's side front fender and a flat battery pack can be clearly seen beneath the vehicle in some of the shots. The design of the iX3 was previewed by a concept of the same name unveiled last April. BMW Group is known to be investigating solid-state batteries and has a fifth-generation liquid-type battery design that promises more than 400 miles on a single charge. However, the 400-mile battery isn't expected until the iNext in 2021. Still, we expect a decent amount of range in the iX3. Factor on there being about 250 miles on a single charge and a single electric motor at each axle. Production of the iX3 will take place at a plant in China for worldwide sale. 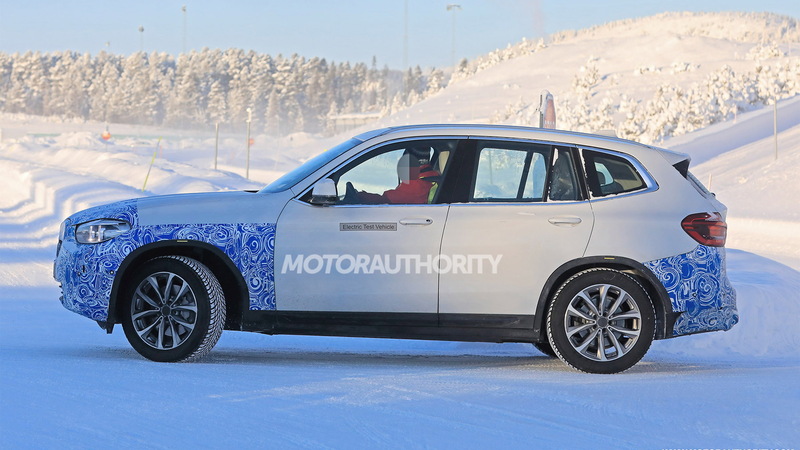 Potential rivals include the Audi e-tron, Jaguar I-Pace, Mercedes-Benz EQC and Tesla Model Y. 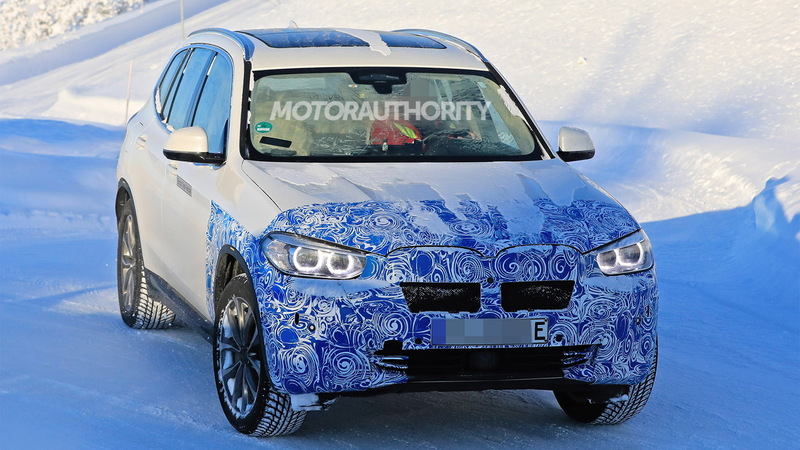 But what about BMW’s i sub-brand, which was established for vehicles with alternative powertrains? With electrification increasingly becoming the norm, BMW in 2016 changed the focus of the i sub-brand to self-driving and connectivity technologies. It means we might not see direct replacements for the brand's i3 and i8 once the models reach the end of their respective life cycles.